This special holiday family getaway includes special activities for kids under age 13. Available only during the Holy Week vacation period. 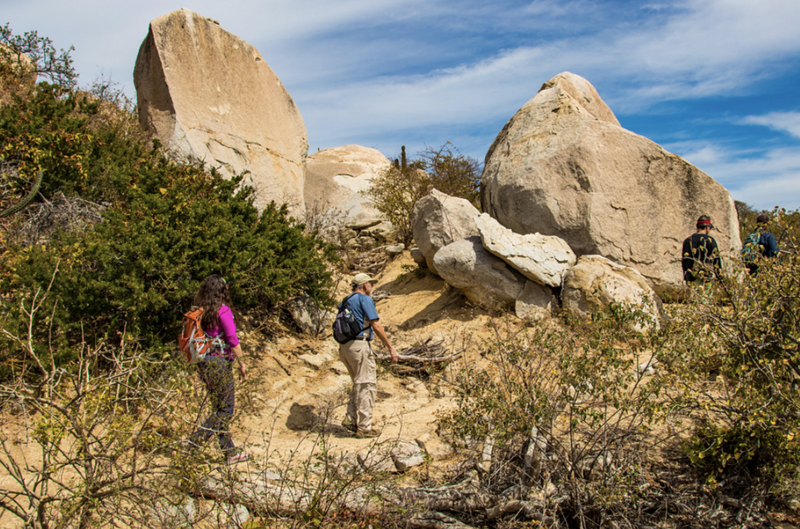 Your authentic Baja California Sur working ranch adventure getaway offers hiking, mule riding trips, mining ruins exploration, cheese and wine tasting, and farm-to-table meals. 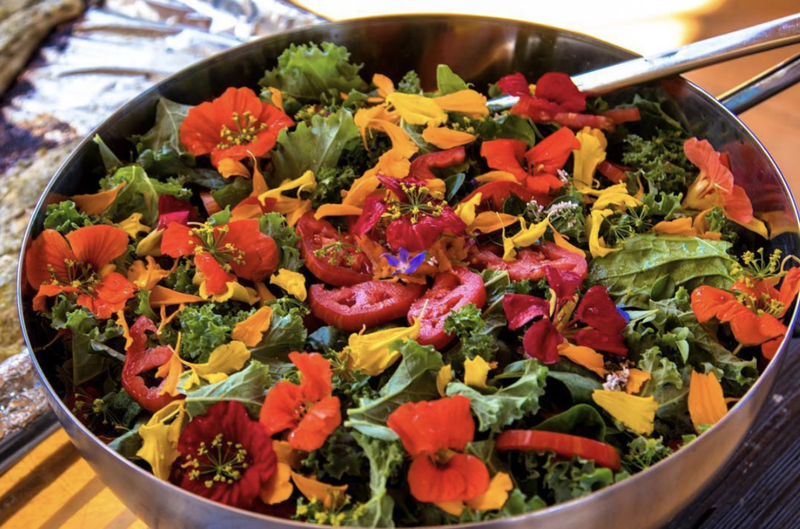 You’ll be amazed at the abundant organic produce we grow here in the rugged Baja mountains next to the Sea of Cortez. While the parents and older kids are out hiking and mule riding on Days 2 and 3, the younger kids will enjoy special free "kids adventure camp" educational programs exploring the semi-desert environment and wildlife of Baja California Sur. Kids age 12 and under enjoy 50% off the package price during our holiday special! Family Holiday Package available for travel for these tour package dates: April 2019: 14-17, 17-20, 21-24, 24-27. Chivato Safari Tents - $750 USD per person, Chivato Family Rooms (1 Queen bed, 1 sofa bed) - $525 USD per person. Kids age 12 and under enjoy 50% off during our holiday special! Safari Tents - $250 USD per person per night. Family Rooms - $175 USD per person per night. All inclusive. Kids age 12 and under enjoy 50% off during our holiday special! Welcome to Rancho Cacachilas, you will be arriving into our Mountain & Bike Hub at Sargento, La Ventana (45 minutes east from La Paz, and 1.5 hours from San Jose del Cabo). We will shuttle you up to Chivato which is our base camp for the week. Once settled in, we will hit the trails for a short hike to take in the view and get our bearings set for a week of adventure! 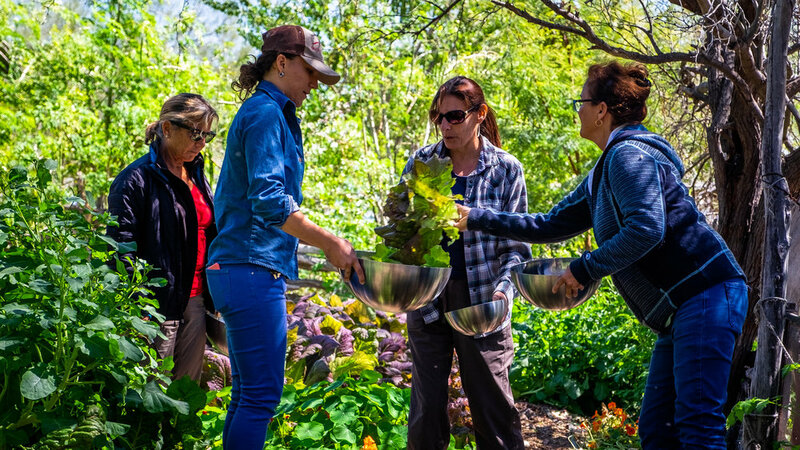 Morning: After a hearty breakfast we will get ready to hike the Middle Mountain Trail taking us to our working ranch, Dos Hermanos, with its award-winning creamery and seed production garden. 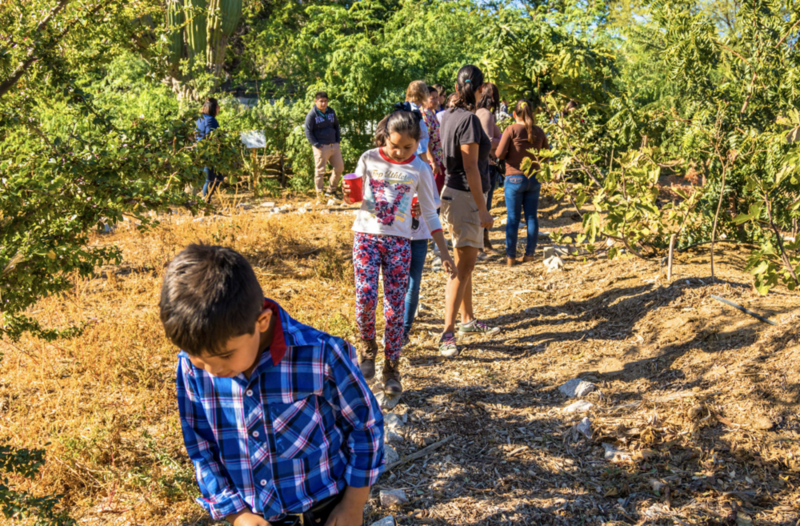 Children will spend the morning with their "Kids Camp" Rancho Cacachilas guides exploring the ranch and learning about the ecosystem, desert animals, plants and watershed in a fun, educational program. We will then meet up to enjoy a fine cheese tasting paired with wine and craft beer, followed by a rich Farm-to-Table meal. Afternoon: Parents will return to Chivato, while the kids explore the Dos Hermanos gardens and learn about our goats and cows. They will learn how to raise and care for the animals, how cheese is made, and maybe even how to milk a cow or goat! Kids and parents reunite later in afternoon at Chivato and can reconnect over a refreshing dip in the pool. 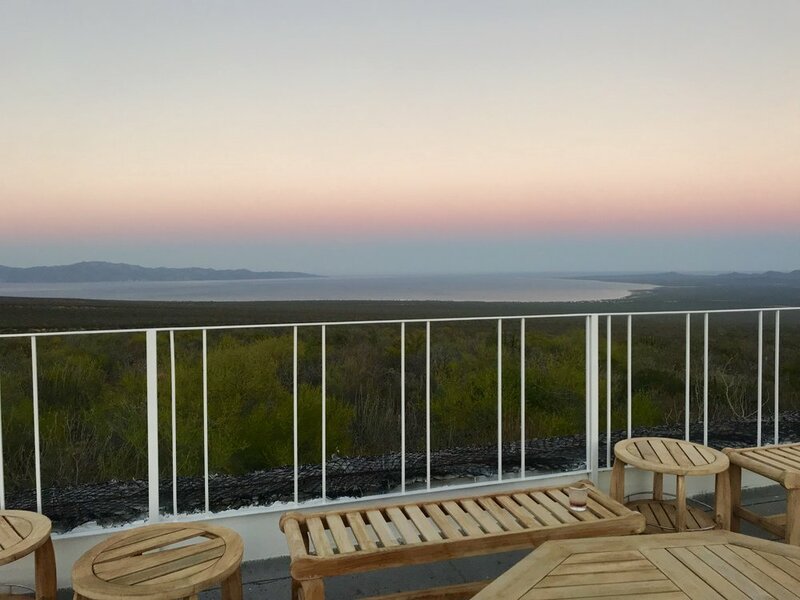 That evening we will enjoy stargazing together to learn about the Baja night skies. Morning: Ready for a mule ride? We will be riding through the mountains and arroyos on our way to visiting Gaspareño, our production ranch. At Gaspareño our team has developed a method for growing vegetables in the difficult soil conditions of Baja California Sur. They will share with us their methods for gardening and explain the traditional cowboy program. The kids will spend the morning with their "Kids Camp" Rancho Cacachilas guides exploring the ranch and learning about the ecosystem, desert animals, plants and watershed in a fun, educational program. Families will then enjoy a lunch together at Gaspareño. Afternoon: Parents will then return to Chivato while the children take an afternoon field trip to the historic mining town of El Triunfo and the Museo Ruta de Plata only about 40 minutes away. The kids will learn about the town's rich history of mining and what life was like 300 years ago for kids there. Children and parents reunite in late afternoon and unwind at Chivato. Families will spend the evening learning about the History of Baja around the campfire. On the final day of your trip we will take a short transfer to Canoas which is an old mining site. Mexico and Baja in particular have a long, complex history of mining and this is the perfect opportunity to learn more about it! We will then hike along the old mining road and enjoy endless mountain panoramas. We will even be rewarded with a view of the desert merging with the sea. After a final lunch at the Ranch we will transfer back to El Sargento for a farewell departure. Choose any our of multi-day tours, and add on an additional stay at Rancho Las Cruces! 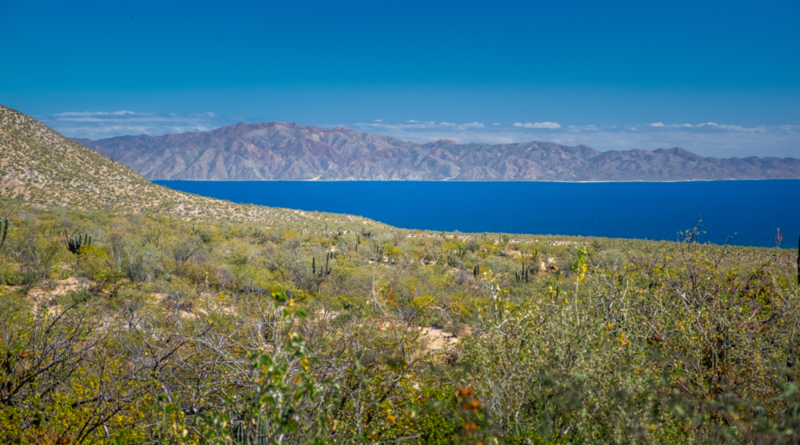 Experience the abundant marine life and spectacular beauty of the Sea of Cortez at a historic seaside resort with this perfect mountains to sea adventure tour add-on.